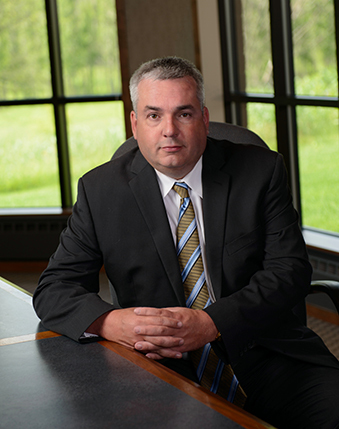 Since he began practicing law in 1994, Dustan has become both an experienced trial lawyer as well as a trusted advisor for his individual, financial and agribusiness clients in Minnesota, Iowa and throughout the Midwest. Graduating with highest honors from the University of Iowa College of Law, and serving as the Senior Articles Editor for the Iowa Law Review, Dustan began his career with Gislason & Hunter LLP, and has worked there ever since. Dustan was also Gislason & Hunter’s Managing Partner from 2008-2016. Dustan is an AV-Rated lawyer by Martindale Hubbell, and is a Certified Civil Trial Specialist by the Minnesota State Bar Association. He has tried over 30 jury cases and has handled matters in Minnesota, Wisconsin, South Dakota, North Dakota and Iowa. In addition to his trial experience, Dustan also has a long history of representing numerous financial, corporate institutions and agribusiness in various contractual, credit and regulatory matters. As part of his commitment to his clients’ needs to appreciate and understand ongoing developments in the law, Dustan is also a frequent presenter and publisher of materials directed to educating his clients and others about all legal matters of interest to them. Obtained a successful defense jury verdict on behalf of a swine integrator following a two-week trial alleging nuisance, negligence and trespass. Obtained a successful jury verdict for a Plaintiff business alleging lost profits arising from the breach of a non-solicitation provision in a joint venture contract, in which the jury awarded Plaintiff every dollar of damages requested. Obtained a court award of $2.6 Million in damages following a 5-day bench trial for breach of fiduciary duty and breach of trust by one member of a closely held business. Obtained an arbitration award in a two-week construction arbitration in which the award from the panel was $2.0 Million less than the Client's final offer and $5.0 Million less than the claimant's final demand.